Play Eternal Jupiter for the First Time at The Hudson Arcade!!! 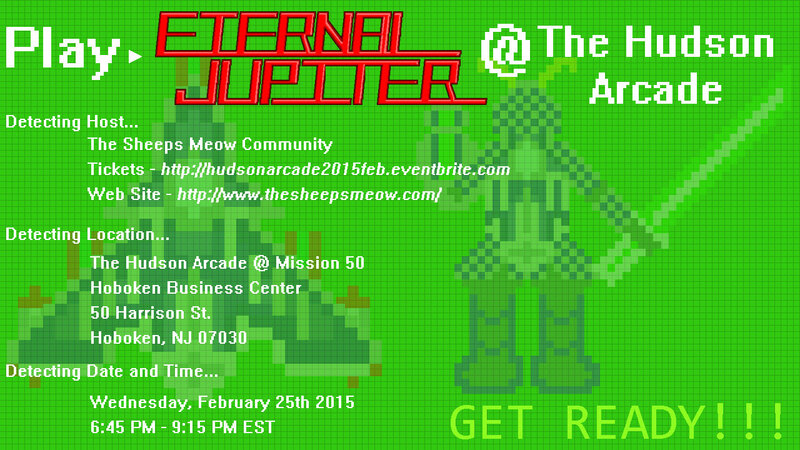 If you happen to be in the New York / New Jersey area on February 25th, 2015, now is your chance to play Eternal Jupiter for the first time!! !